Make the earth cleaner and greener! That was our school's "Green Club" mission. The energetic students were dedicated to using action, education, and outreach to help the school community care for the environment. 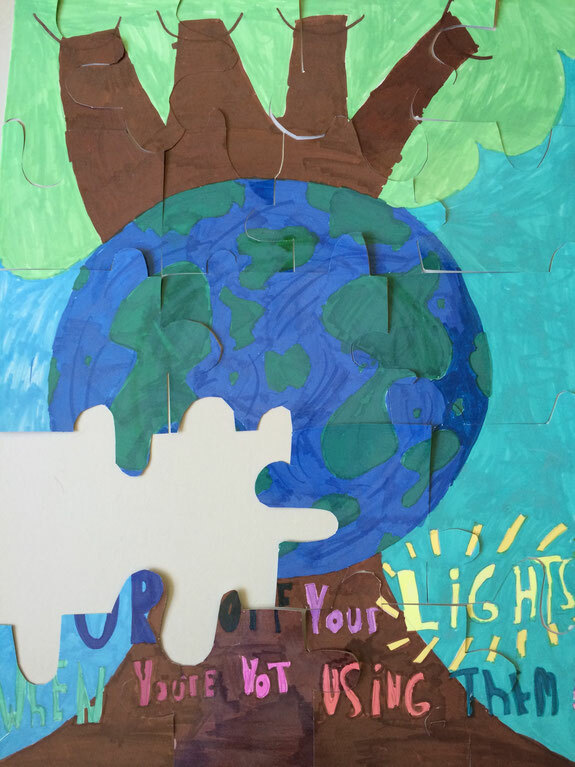 One successful outreach activity involved creating large environmentally themed posters and turning them into jigsaw puzzles. On the back of each puzzle piece, we wrote a green activity for families to do at home. 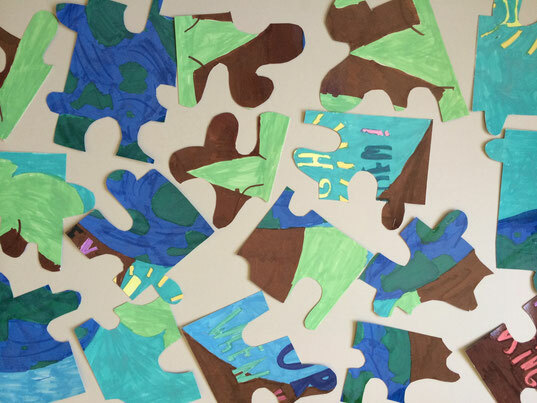 Families that signed up to participate in the "green pledge activity" received a puzzle piece with an assigned activity. Families were instructed to return the pieces after one week of going green. 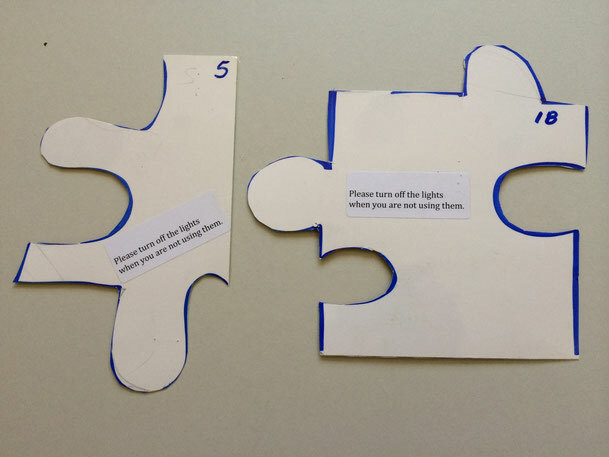 For example, the puzzle pieces below encouraged families to "turn off the lights when not using them." As you can see from the photograph below, all but two of the "lights out" group returned their puzzle pieces. That's a great participation rate (and a unique way to evaluate the success of our activity)! Many families also included family photographs and/or notes about their green efforts. 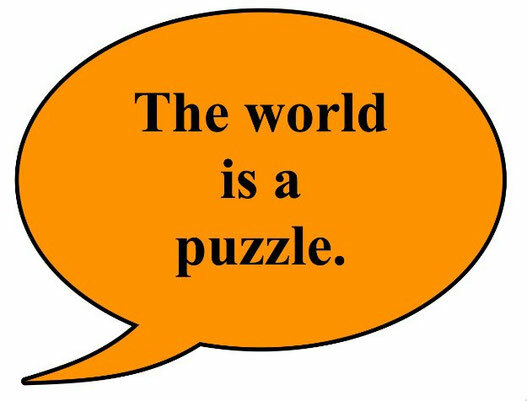 It's Up to Us to Keep the Pieces Together!